The Rinnai RL94iP Propane Tankless Water Heater is an energy-saving, eco-friendly water heater that is definitely worth investing in. Many homes require water heaters to ensure that they have enough hot water for baths, washing dishes, laundry and cleaning the house. Thus, having a continuous supply of hot water is a must for every household. Traditionally, homes use conventional storage tanks to store their hot water supply. However, maintenance costs and utility bills can easily add up to one’s budget which might be impractical for some. You also have to consider if your house has enough space available if you want to store a large water tank without disrupting the order of things in your home. As such, many homes are now opting for a tankless water heater which can be considered as a good investment. The Rinnai RL94iP Propane Tankless Water Heater is one model that is available in the market today. Unlike traditional tank-style water heaters, this product’s premium tankless technology is designed to save on utility costs since it only operates on-demand. By on-demand, it means that it only heats up the amount of water you need. Once the unit detects that water flow ceases, it shuts down. Wanna learn more about it? Read on. 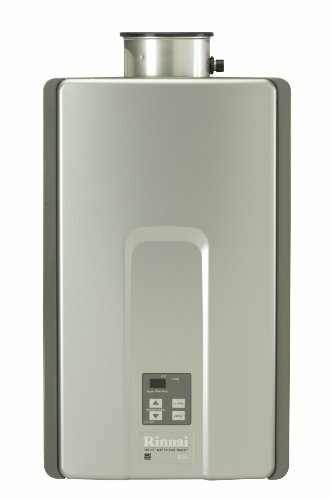 The Rinnai RL94iP Propane Tankless Water Heater is an efficient unit that provides your home with hot water whenever you need it. You also won’t have any issues placing it where it can be seen since the unit itself has a sleek design that will blend in into your kitchen or bathroom décor seamlessly. 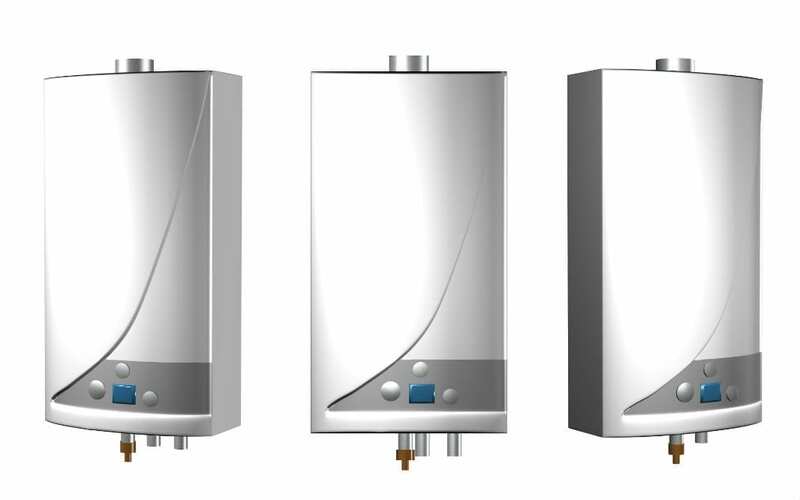 Instead of planning in advance your home’s use of hot water based on your water tank’s capacity, the tankless technology allows you to have unlimited access to hot water any time of the day. With its powerful flow rate, you can use multiple fixtures, run laundry and do the dishes simultaneously. You also no longer have to worry about inconsistent temperatures as it is capable of keeping the preset temperature constant. Saving on electricity bills is also an advantage you get when you have a tankless water-heating system. Unlike a traditional tank-style heating system that keeps stored water hot at all times, a tankless unit only heats water when needed. It also has an electronic ignition which means no permanent pilot light constantly consumes energy. Maintenance and repair can also be costly especially when dealing with damaged parts. What’s great about the Rinnai brand is that all parts are replaceable. Having replaceable parts greatly contributes to its longer lifespan when compared to a storage tank. So, instead of having to change an entire system, you can just replace the needed components. This tankless water heater is not only efficient in providing your household hot water; it also contributes to a healthy environment with its low CO2 emissions. Also, because of its replaceable parts, there is less waste contributed. For homes with limited space, this tankless water is very compact. It has a size that can be compared to a small suitcase which is enough to fit inside small crawl spaces or attics. You can also have this conveniently mounted on your interior or exterior wall. The indoor unit’s protective heating components will be protected from freezing even if the outdoor temperature drops to -22°F. This is great for places with frigid temperatures. The unit automatically shuts off the water supply when there is a leak to prevent further damage to property. It also has systems that prevent unauthorized access to temperature control and build up of excessive scale deposits. Rinnai offers a 12-year warranty on the heat exchanger and a five-year warranty for the parts. Labor for residential installations is also covered for one year. It should be noted that Rinnai will only honor warranties if the unit is installed by a licensed professional. Since the unit houses a commercial-grade heat exchanger, it can be used for both residential and small commercial properties. For average-sized homes, the price is quite hefty. Aside from the unit itself, costs for professional installation can also be pricey. The Rinnai Propane Tankless is a great product due to its energy efficiency and safety features. It is also quite flexible since a single unit can be used in a residential setting, for commercial purposes and also for mobile homes which is not commonly offered. Although the unit comes with an expensive price tag, considering the capacity and capability it offers, you could say that it’s a good long-term investment. The Rinnai RL94iP Propane Tankless Water Heater, when compared to similar models, is quite powerful with its flow rate of 9.4 gallons per minute at 35 degrees rise. This allows users to enjoy simultaneous use of hot water without worrying about any changes in the water’s temperature. It is also worth noting that its parts are replaceable. For some models, once a component is damaged, the entire system needs to be replaced which can be a total waste of money. Other models also offer the flexibility to be used for residential or commercial properties, but what makes this model standout is that you can have it installed in a mobile home. This guarantees that you won’t have problems obtaining hot water anywhere you go. Whatever the size of your home, the Rinnai RL94iP Propane Tankless Water Heater is sure to provide you with a seamless supply of hot water for all your needs. It has smart and energy-saving features which make it convenient to have, and easy to use. Plus, all its components are easily replaceable which is very important since there is always the possibility of damage to some of its components over time; although this is unlikely to happen with proper use. Again, having a reliable water heater is essential for every household. This is why choosing quality that is within your budget should be considered before purchasing one. If you are considering a good long-term investment for your home, opting for this tankless water heater is well-worth its price.